As U.S. states struggle to address what many are calling a nationwide waste crisis - caused by China's recent refusal to accept and process American plastic waste -advocates and researchers are urging America's carpet manufacturers to improve the recyclability of their products and take responsibility for the waste that they create. Despite the fact that the Carpet America Recovery Effort (CARE) was set up by the carpet industry over 15 years ago, in the U.S. only 5% of carpet is currently recycled, with 90% going to landfill. Carpet is largely made of plastic from fossil fuels and it also contains a wide range of chemicals, used in adhesives and stain protectants, that, whether by affecting indoor air quality in homes or leaching into drinking water supplies, can be toxic to human health. "We've known for years that carpets produced in the United States create problems for communities after they are thrown away. It's time for policymakers in every state to require carpet manufacturers to solve the problems created by their products," said Heidi Sanborn, Executive Director of National Stewardship Action Council and a key advocate for carpet recycling based on a system of Extended Producer Responsibility (EPR). EPR programs are designed to ensure that producers take responsibility for the costs created by their products after consumers have finished using them. Such programs are designed to reduce the costs of managing bulky waste for local governments that are currently paid for by consumers through taxes and garbage collection rates. 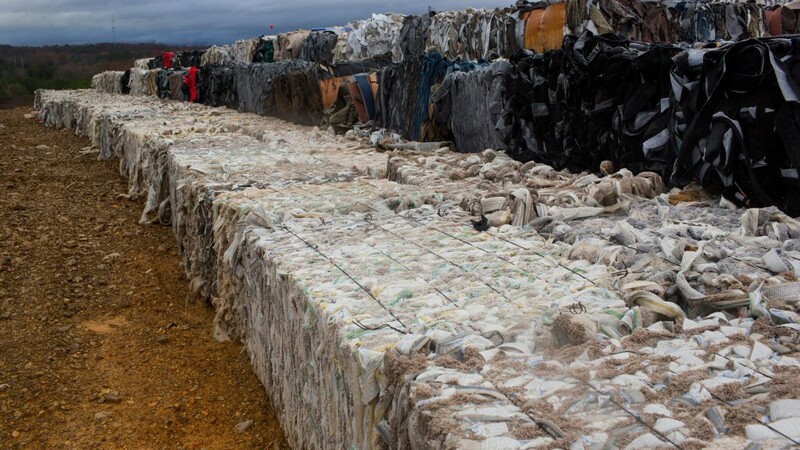 New research, published by Eunomia Research & Consulting, outlines policy options for states to dramatically improve carpet reuse and recycling rates. The report, commissioned by the Changing Markets Foundation, calls for state governments and manufacturers to adopt and develop effective take-back programs. By implementing proposals outlined in the Eunomia toolkit, policymakers can curb the use of fossil fuels, help resolve the carpet waste problem, reduce greenhouse gas emissions, and increase domestic jobs in the carpet reuse and recycling sectors. As the state that purchases - and disposes of - the greatest amount of carpet, California has led the country in promoting carpet recycling. In 2010, the state passed the world's first carpet recycling law (AB 2398), which was updated in 2017 (AB 1158) to include a mandatory carpet recycling rate of 24% by 2020. To build upon this initial success, the Eunomia toolkit describes how lawmakers can strengthen the landmark California Stewardship Program, which will eventually become a critical component in the state's longstanding effort to address its affordable housing crisis through new construction and building renovation. "The toolkit aligns with our national goals to reduce waste, increase local markets, drive a circular economy and address climate change," said Sanborn. Beyond California, the report provides a blueprint for other states to implement their own producer responsibility programs for carpet. It outlines principles necessary for any U.S. carpet stewardship plan to succeed as part of the "circular economy," where old materials are recycled into new products for consumers to buy and use instead of being discarded. • Shifting the cost burden of disposal and recycling from taxpayers and municipalities to producers. Mark Hilton, author of the report and Eunomia's Head of Sustainable Business, said: "Carpet is a very traditional product that is difficult to recycle and rarely reused. Some of the most forward-thinking manufacturers in the US and Europe are now tackling the design challenges and already making carpets with far fewer harmful chemicals, and using designs and business models that aid reuse and recycling. The policy makers are lagging behind, however, and this toolkit aims to provide a template that will progressively drive best practice into the mainstream at the state level." Nusa Urbancic, Campaigns Director at the Changing Markets Foundation, said of the report, "The U.S. is the world's leader in carpet production. We believe the U.S. has the potential to also become the world leader in carpet reuse and recycling as part of the new circular economy." Beyond carpets, the toolkit envisions a "next generation" opportunity for producer responsibility systems with a variety of products. The overarching EPR philosophy creates incentives for manufacturers to make durable, non-toxic, easy to disassemble items, that can become raw materials to make new consumer goods that enter the circular economy.